A universal, compact and robust laboratory mill. Among other things, this solution is ideal for milling grain. Use this solution to process wheat, rye, barley, oats, rice and maze, as well as coffee, pasta, beans, herbs and many other materials. Due to the milling system’s special design, heating of the grist and loss of moisture during the milling process is reduced. 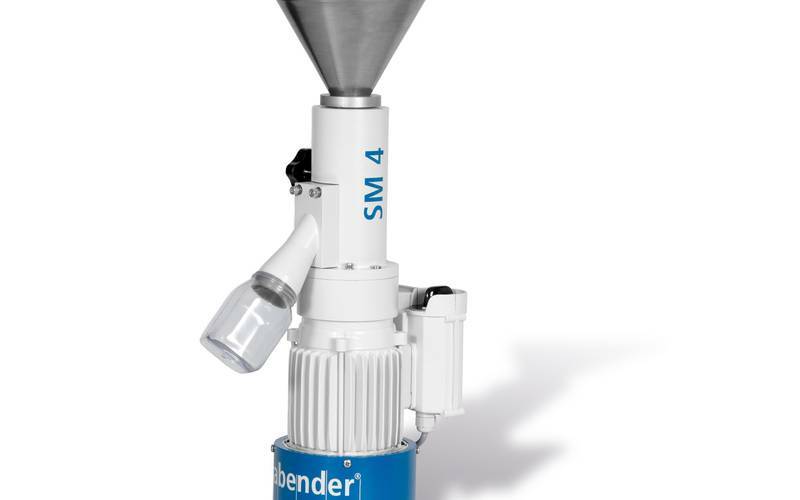 The SM 4 is therefore especially well suited to preparing samples for moisture determination, as well as for analyses of protein or fat content, for example. Measure moisture reliable with various models of the proven solution Brabender Moisture Tester MT-CA. The milling system consists of a stationary upper block with three reversible cutting plates and a rotating block with another four reversible cutting plates. The milling gap is steplessly adjustable, and is set using the adjustment screw with scaling. Usage of the versatile Break Mill SM 4. The milling system: stationary upper block with three reversible cutting plates and rotating block with another four reversible cutting plates. The SM 4 design prevents heating of the grinding stock and loss of moisture during processing. Ground material can be used for further analyzes such as moisture, protein, fat or gluten quality tests. Mill the widest variety of grains under realistic conditions. Grinds manifold materials, such as noodles and different sorts of grain, coffee, spices and legumes. - Ground material can be used for further analyzes, such as moisture, protein, fat or gluten quality tests.